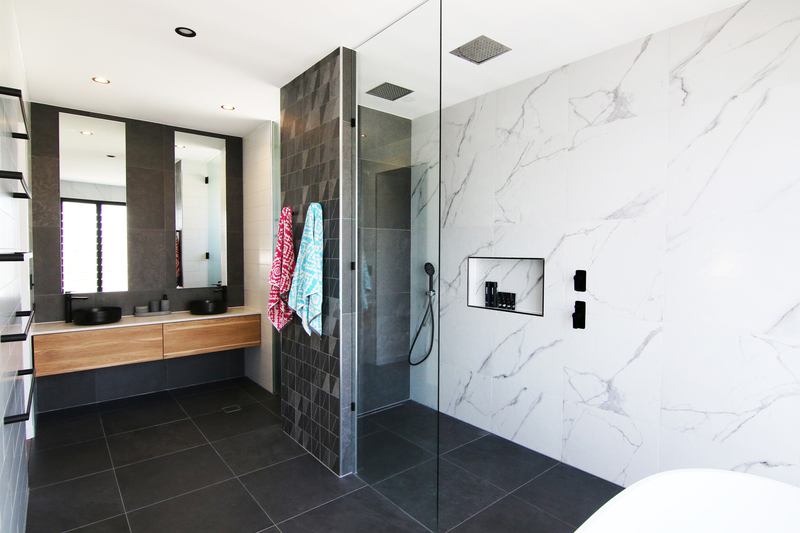 Combining a mixture of different textures and materials in bathroom design adds a new-age, contemporary feel. Natural stone and timber have always been favourites and will continue to prevail in 2018. Installing a timber grain vanity or cabinet will draw the eye, while the warmth of the wood offsets the cold look of bathroom tiling. Accessories are the key to elevating and unifying the overall look of your bathroom. Add colour to your choice in towels, vases, the shower head or even tapware to inject new life into the space. While soft pastels and neutral tones were much loved this year, rich colours like navy, mustard, terracotta and royal green are sure to dominate in bathroom design next year. Matte black accents are definitely here to stay in 2018. More contemporary than traditional chrome finishes and undoubtedly the most popular bathroom trend of 2017, matte black accessories are sleek, sophisticated and striking, sure to harmonise with most bathroom decors. 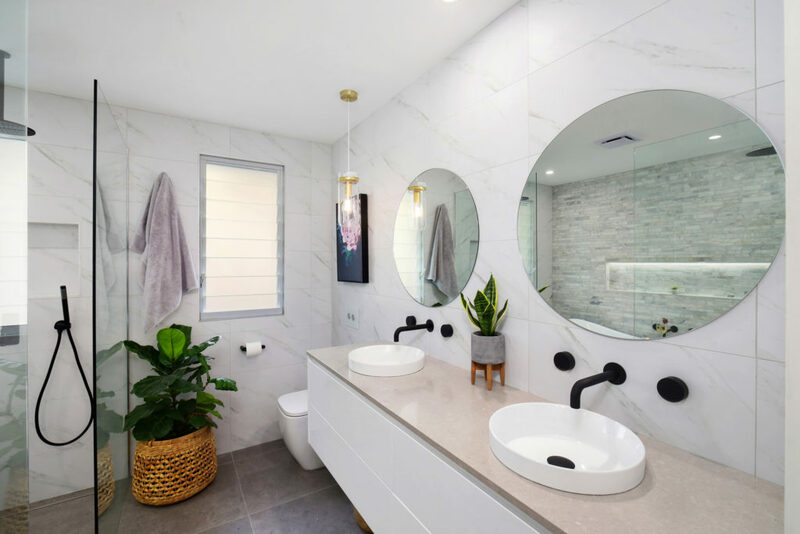 White subway tiles were a definite hit this year, however, in 2018 we will see a shift towards bold designs in bathroom tiling. Be it your floor or walls, draw the eye with statement colours and patterns. Working with a small space? Opt for larger tiles with more vivid colouring to create the illusion of a wider bathroom – as an added bonus, less grout means less cleaning! 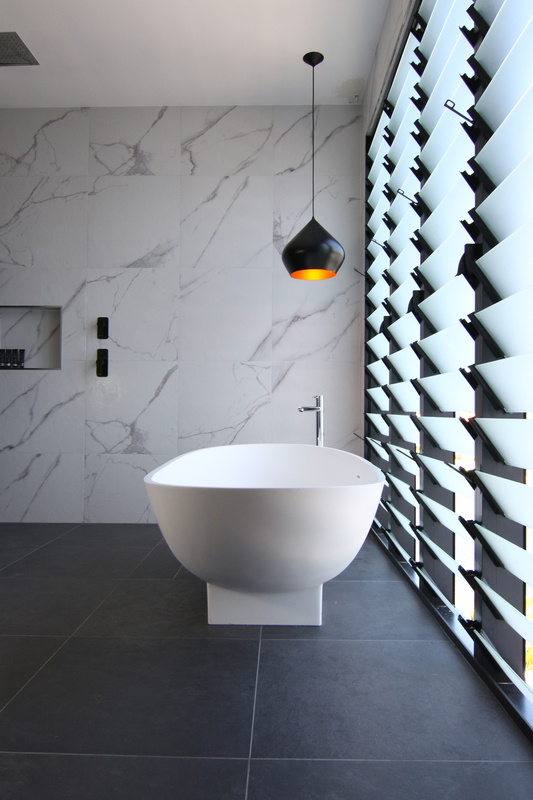 Bathrooms inspired by modern classicism exhibit the perfect balance of old and new. Timeless pieces, including vanities with vintage door handles or clawfoot baths, unveil a classy living space to relax and unwind. Incorporating these elegant pieces with sleek wall mounted tapware or a frameless shower screen will have your bathroom oozing modern style and luxury. Posted in Architecture & Design and tagged architecture, art, australia, bathroom, business, design, furnishing international, furniture, home, homewares, industry, industry news, interior design, interiors, new products. Bookmark the permalink.